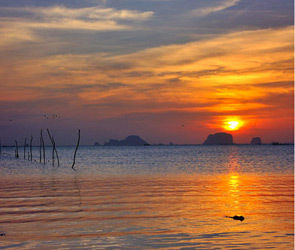 Discover the resort of your dream on an island in the beautiful warm waters of the Andaman sea. Islanda Village Resort basks in the sun light next to the beach. 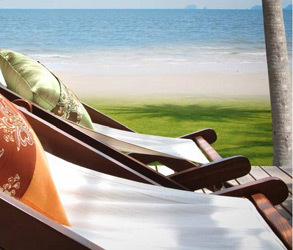 Built in the southern Thailand fishing village style, the resort offers peaceful, simple yet modern comfort with nice sceneries. 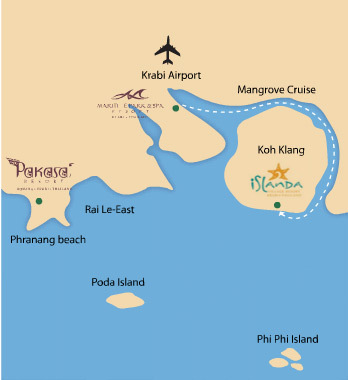 Koh Klang island is not too close but not too far from the town. 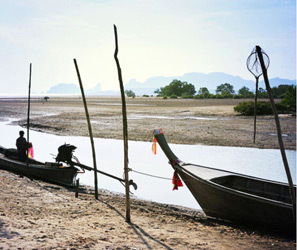 With the unspoiled surroundings rich in unique southern Thai cultures and simple life - fishery, agriculture to local handicrafts - it is a perfect hideaway from the hectic life. 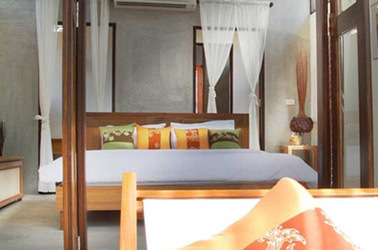 All 30 bungalows cluster around a wide stretch of beach, each facing the sea and built on stilts in the tradition of southern Thai fishing village. 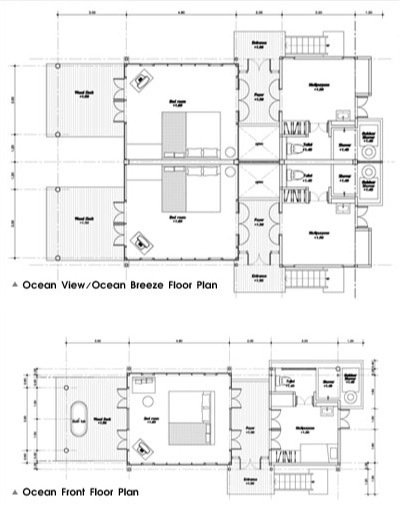 They are spacious, simple in style, yet tastefully decorated and provided with modern amenities. 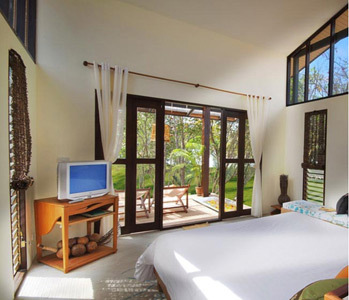 Each bungalow contains a master bedroom, private bathroom, multi-purpose room that can be used for dining, living or sleeping, plus a large veranda to enjoy the sunsets. 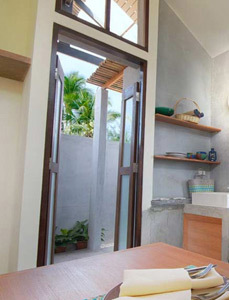 There is even space under your bungalow fitted with hammocks to relax away from the sun. Guests can borrow DVDs and CDs from the resort library to play on their in-room entertainment system. 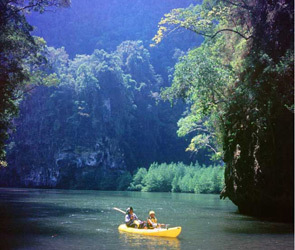 Ride the resort bike to explore the fishing villages, or take a boat or kayak among the mangroves. 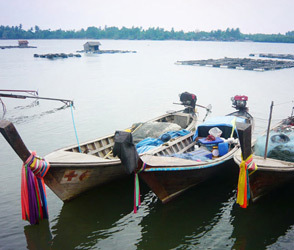 Scuba diving and snorkeling trips can be arranged at the islands. Or you can learn Thai cooking.